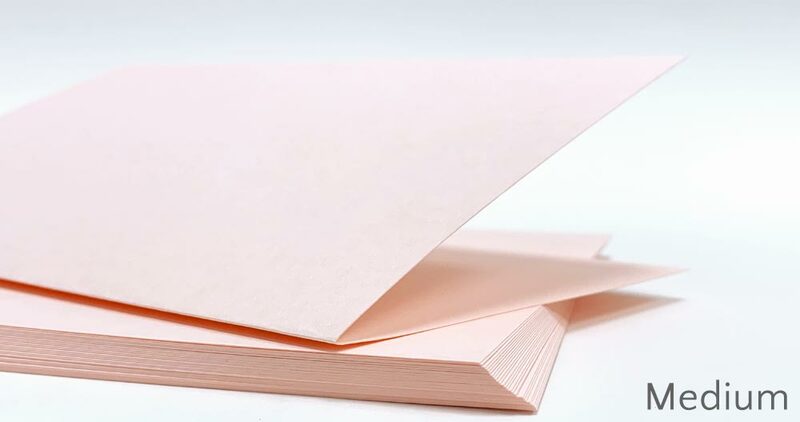 Thin, light weight, flexible sheets up to 169gsm - Paper styles range from sheer and delicate tissue, to translucent vellum, to premium text paper for all of your creative needs. 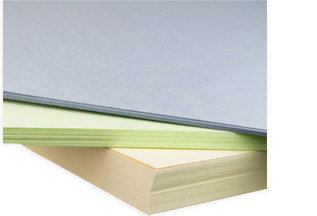 Medium weight paper ranges from 170-216 gsm. Printer friendly and versatile, medium weight card stock is perfect for layering, folding cards, and paper crafts of all sorts. The heavy weight category consists of card stocks ranging from 217-284 gsm. Thick, heavy sheets that are able to stand on their own, this collection is perfect for invitations, business cards, and promo pieces. Paper Thickness Explained - Understanding Paper By Thickness? You know paper comes in a huge variety of weights & thicknesses; you know there are all kinds of terms and numbers to describe these weights; but if you are like many, you may not know what all these terms and numbers mean. If you aren't familiar with paper weight, or aren't sure which weight is appropriate for your project, don't worry; you aren't alone! This is why we created this quick guide to paper weight basics. It's all you need to know about paper weight and selecting the right weight for your project - think of it as Paper Thickness 101. To understand the weight ranges that fall within each category, you must first understand how weight is defined. Within these four categories, papers are split up into two main scales - text weight and cover weight. So how does it work? Within each scale, the weight of the paper is indicated by a number, for example, 80 lb cover, or 80 lb text. The higher the number, the heavier, and usually thicker, the paper. It is important to note that text and cover weight scales are completely separate, unrelated scales. For example, an 80 pound text weight sheet is much lighter and thinner than an 80 pound cover weight sheet, even though they are both 80 lb sheets. If you are interested in learning more about how paper weight is defined, please view the following video. Got the basics down? Great! Here's what you'll find in each of the four weight categories. 1. 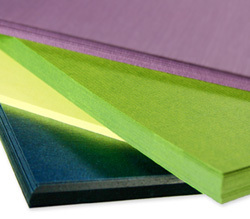 Light Weight Paper (Up to 169 gsm)-Like Ordinary Paper, Only a Little Heavier & a Lot Prettier. 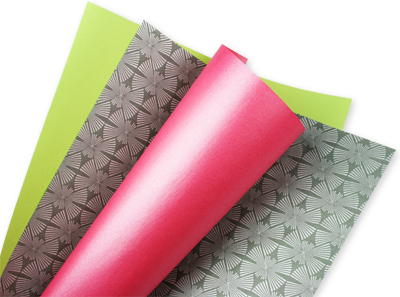 This category includes text weight papers, as well as light weight translucent and decorative sheets. The weight range of papers in this category is most comparable to copy paper. Common uses for these papers include letterhead, resumes, and insert sheets. Patterned papers within this category are commonly used for decorative purposes. 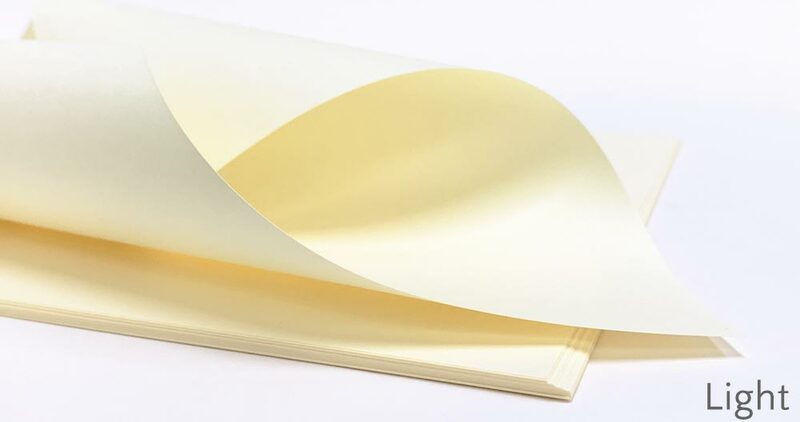 Note*: Though Light Weight Specialty Papers are acceptable for most home printers based on weight alone, not all papers are suitable for all home printers due to a variety of finishes & textures. We recommend ordering samples to test print prior to purchase. 2. 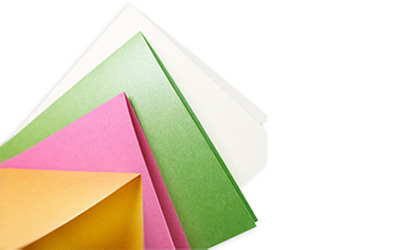 Medium Weight Paper (170-216 gsm)-Like Your Average Greeting Card. 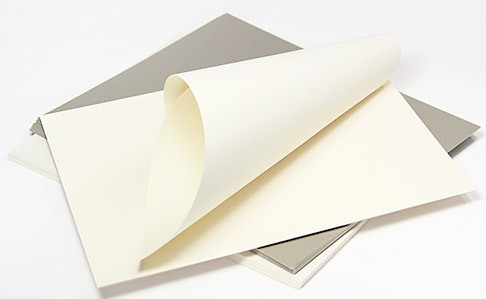 Medium weight papers are a collection of our lighter weight cover stock sheets, or card stocks. Papers range from 65-80 pound (170-216gsm) cover, and are similar to a standard greeting card. Papers in the medium weight category make great folded greeting cards, economical invitations, and program covers. Note*: Ordering samples & test printing prior to purchase is always recommended. 3. Heavy Weight Paper (217-284 gsm) - Like a . . . Thick Greeting Card. 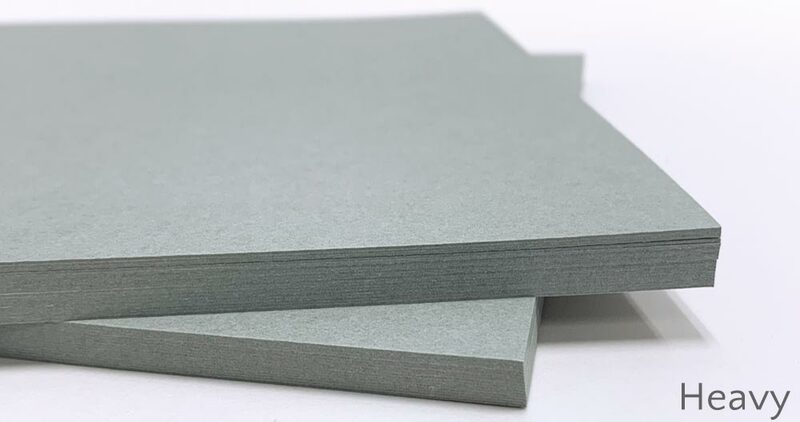 This category consists of heavy weight card stocks that are considerably thicker than those in the medium weight category. Though they do not compare to any every-day item, they are best described as being a bit heavier than a greeting card, but not quite as heavy as a cereal box. As with the medium weight sheets, heavy weight sheets are great for a variety of projects including business cards, invitation cards, program covers, promotional pieces, and more. 4. Extra Heavy Weight Paper (285 gsm and Up) - Pretty Much a Cereal Box. Finally, the Extra Heavy Weight category includes card stocks that are 111 pound and up; a weight comparable to a cereal box, though not quite as rigid. Again, test printing on these very heavy sheets is a must, as is scoring before folding. Some papers in this category are double thick, making them as thick, heavy, and rigid as chip board. 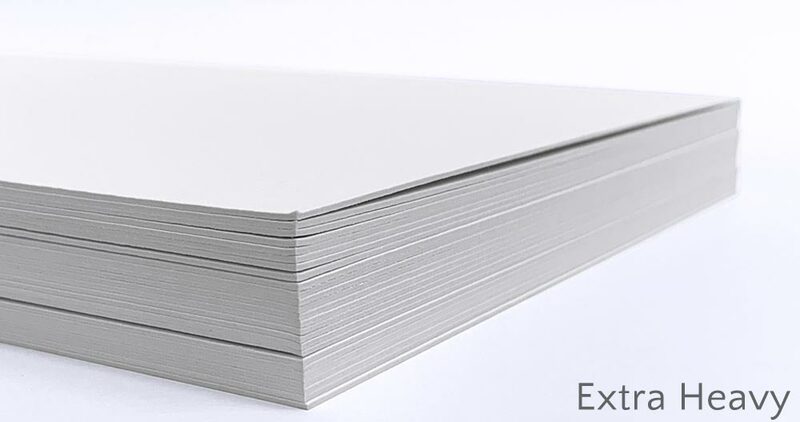 Extra Heavy Weight card stocks make great invitation backing cards, program and presentation covers, and business cards.